Carving a slender path between the coniferous forests of the Kitsap Peninsula and the towering mountains of the Olympic, there is Hood Canal…graceful, timeless, teeming with wildlife, and rich in human history. Generations have treasured Hood Canal’s winding shoreline roads, nostalgic cabins, and peaceful beaches and estuaries that give this famous fjord its unmistakable sense of place. The Canal is home to a profusion of marine life: oysters, shrimp, clams, crabs, seabirds, and all eight of the salmon and trout species that have nourished people and animals for thousands of years. 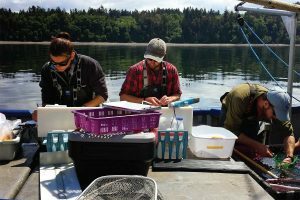 The salmonids of Hood Canal give us vital information about the ecosystem’s well-being. When they are healthy, the Canal is healthy. 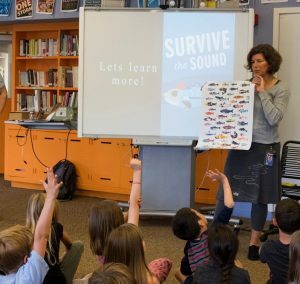 But habitat degradation, climate change, and natural oceanic cycles and even a bridge have conspired to subject Hood Canal to serious challenges such as algal blooms and low oxygen levels leading to fish kills. The solutions to these complex problems must be the work of many hands. 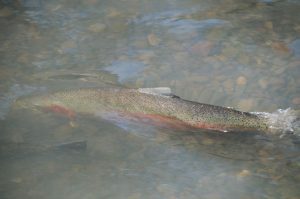 Landowners, state and federal agencies, local tribes, fishers, and other stakeholders must come together to pursue the shared goal of preserving the delicate ecological balance of this beloved waterway and the species that make it their home in light of increasing human interest and activity. 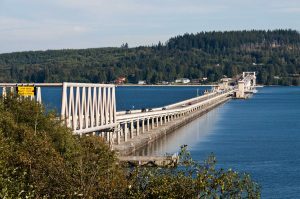 Steelhead are dying at the Hood Canal Bridge. 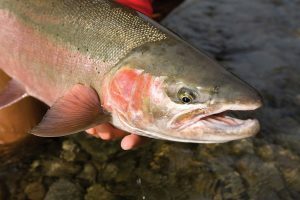 Salmon and their ecosystem may also be affected. How can we fix this? 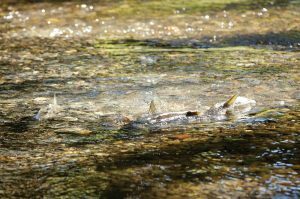 Can we bolster the recovery of summer chum through hatchery supplementation?